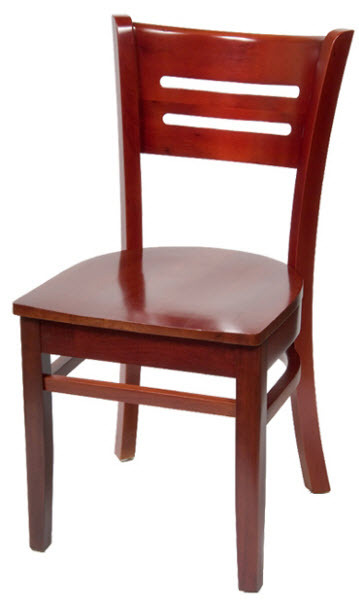 The Henry wood chair is a beautiful choice for restaurants, cafes, bars, hotels and other venues. You can choose between a 1" thick solid saddle seat or a seat upholstered with vinyl or fabric. Our wood chairs are made especially for commercial use and constructed to withstand the heavy use common to the restaurant and hospitality industry. The chair is assembled with a Mortise & Tenon construction and reinforced with Metal L Shaped brackets for more structural stability. For additional information please call (888) 998-4222.